This is pretty cool, This bold leather-strap chronograph, from Sector’s Poker Collection, shines in gleaming stainless steel. More than just a showpiece, it exhibits fine craftsmanship and design throughout. The large stainless steel case and virtually scratch-proof sapphire crystal showcase a distinctive black textured dial with signature poker characters. Luminous red-tipped hands and indicators are featured on the dial, along with two small silver chronograph subdials and a date display. The steel bezel, featuring poker icons and phrases, is easily removable and doubles as a card holder. Other notable features of this watch include precise Swiss-made chronograph movement and a screw-down crown and caseback for water resistance to a full 100 meters. The watch comes packaged in an attractive wood box, along with a deck of cards and a poker tip book written by Phil Gordon. 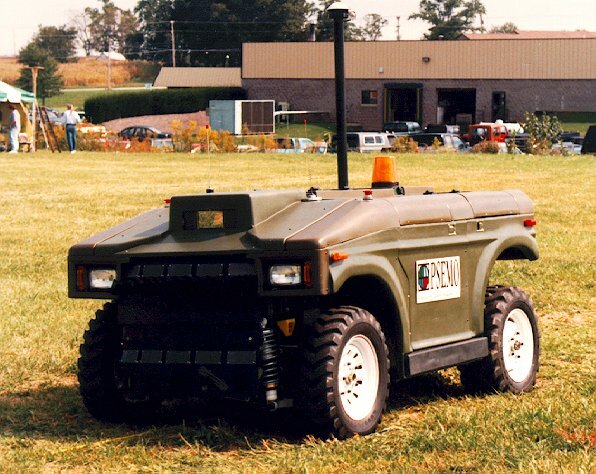 The Mobile Detection Assessment and Response System (MDARS) is a joint Army-Navy development effort to provide an automated intrusion detection and inventory assessment capability for use in DoD warehouses and storage sites.The MDARS goal is to provide multiple mobile platforms that perform random patrols within assigned areas of warehouses and storage sites. The patrolling platforms: detect anomalous conditions such as flooding or fires, detect intruders, and determine the status of inventoried items through the use of specialized RF transponder tags. Omni-Directional Technology allows unprecedented maneuverability in tight spaces. It allows the operator to maneuver materials through even the most limited of spaces. Productivity in pick and place operations soars because a lot less time is spent backing up. Warehouse storage density can be increased due to the minimal space requirement between pallets and aisles. Imagine attempting to move a 20 foot beam through a doorway with a conventional lift truck. With the SIDEWINDER, the operator simply and easily moves sideways through the doorway or down long narrow aisle ways. Posted in Technology, Gadgets, Utility | No Comments »« Previous Entries Daily Tech Impressions provide short reviews on the latest in technology and cool gadgets!